We're located between W. Ferris St. and Icker Ave at 415 Village Green Plaza. Look for the Vitamin Shoppe and the Goodwill Store across the street from Wendy's. We're right after the East Brunswick Supply Store and before Weichert Realtors. Sell Your Car in East Brunswick - Fast, Safe, Fair! The We Buy Any Car East Brunswick branch is conveniently located and easily accessible from all directions. Our East Brunswick location and staff maintain the highest of professional standards. We remain committed to buying your car for fair market value, while making the entire car selling process as hassle-free as possible. First we help you determine how much your used car is worth. Once we determine an appropriate value for your car,you can make an appointment. 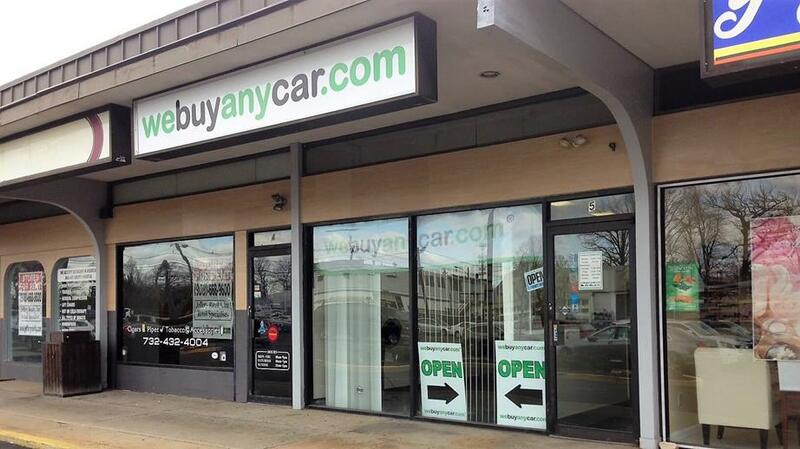 It can take as little as thirty minutes to walk away with a We Buy Any Car check. We've listed answers to the most common questions on the frequently asked questions section of the website but if you'd like to talk to someone, you can reach Robert Montalvo who manages our East Brunswick car buying center at (732) 955-4777 during branch opening hours, listed above. You'll usually be met by Robert Montalvo, who manages our East Brunswick branch. Robert will firstly check your documentation to ensure you have the correct documents and proofs of identity needed to sell a car. The manager will then conduct a short inspection of your car to check its condition. This usually takes around ten minutes and you can accompany Robert while your car is inspected. We Buy Any Car does not provide transportation after buying your car, so it is a good idea to arrange for a ride from a friend or family member in advance of the appointment to sell your car. The branch manager also has a list of public transportation options available in the East Brunswick area.